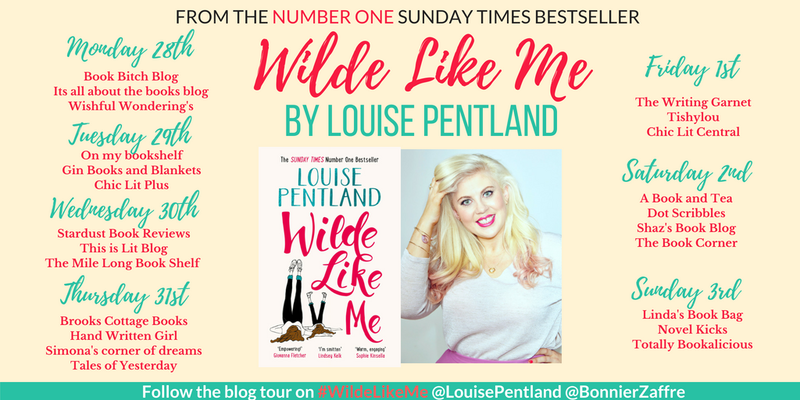 Today I am lucky enough to be on the blog tour celebrating the paperback release of Wilde Like Me by Louise Pentland, click here to order your copy now. You can read what it's all about and my thoughts below! Don't forget to visit the other stops on the tour for more exclusive content, interviews and reviews! You'll never forget the day you meet Robin Wilde! 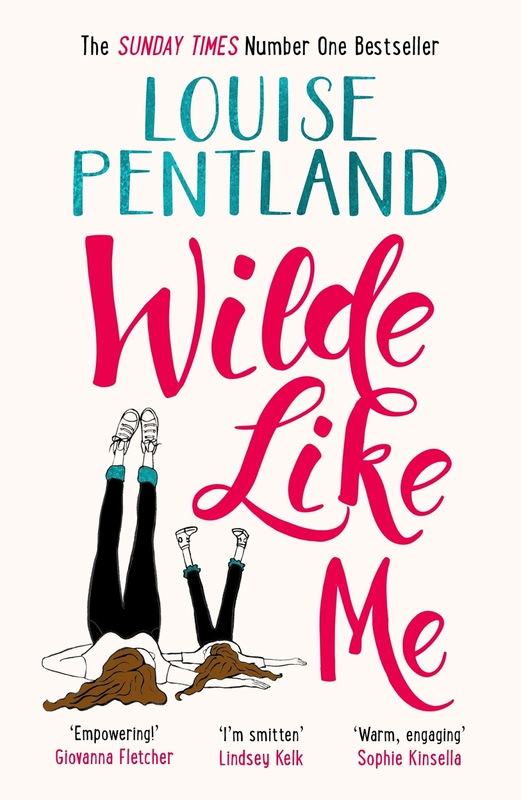 Robin Wilde is an awesome single mum. She's great at her job. Her best friend Lacey and bonkers Auntie Kath love her and little Lyla Blue to the moon and back. From the outside, everything looks just fine. Review: I really enjoyed this book and if you are a fan of Louise's YouTube channel you will definitely be able to see tons of her on every page! I actually listened to this on audiobook and can really recommend that format as well as the paperback because the narrators did such a great job. This book centres around Robin Wilde and she is just a great character to read about and the kind of woman that makes you grateful for character-centric books like this. She is great to read about because she is just like you and me. She has her faults and she has her insecurities and they are the kind of things that we can all relate to. The other reason she is so easy to relate to and easy to sympathise with is because she is a real mum. You read about so many mums in fiction and see so many mums on social media who have it altogether, their children always do as they are told, they look great and their house is always tidy, but Robin is a real mum. There is one particular scene involving Robin in her pants that is absolutely hilarious and had me giggling away! You don't need to have heard of this author before to enjoy this book, so don't worry about not having seen Louise's videos. I listened to this book with my mum and she has never seen Sprinkle of Glitter, showing that if you go into this book because you just like the sound of it, you're going to enjoy it too! There are a whole host of supporting characters in this novel as well, as I said, I am so pleased that this is a character driven novel. These other characters are also hilarious! There's Robin's Auntie Kath, Robin's daughter Lyla and just a couple of disastrous dates. On the whole this was just a really fun read with lots of laughs, plenty to relate to but also some things to think about. You can tell that this author put their heart and soul into the book, it really comes to life between the pages and I can't wait for the next one! Award-winning lifestyle and beauty blogger, fashion designer and number one bestselling author Louise Pentland has long dreamed of publishing her first novel, coming true in June 2017 when Wilde Like Me was published in hardback by Zaffre. 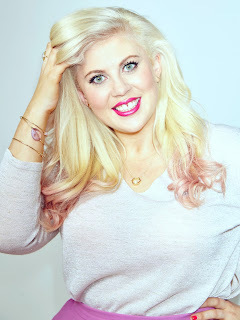 As well as a hugely popular YouTuber, Louise is a UN Global Ambassador for Gender Equality, Louise was shortlisted for 2016's Glamour Woman of The Year and recently won InStyle 'Best High-Street Fashion YouTuber' and the Shorty Award for 'Best YouTube Guru'. In 2016, she released her second collection for fashion retailer SIMPLY BE (sizes 10-32) and her second LOUISE LIVE UK tour was a sell-out this summer. Her non-fiction book Life With A Sprinkle of Glitter hit the Sunday Times number one bestseller slot in summer 2015.